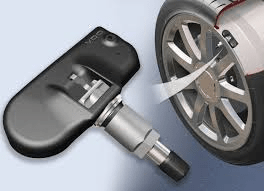 TPMS – Vermont Tire & Service Inc. The Tire Pressure Monitoring System (TPMS) is an electronic system inside the tire that monitors the air pressure in your tires. If you drive a newer car (2008 or later, though some earlier models also have this technology), you probably have a TPMS unit installed. 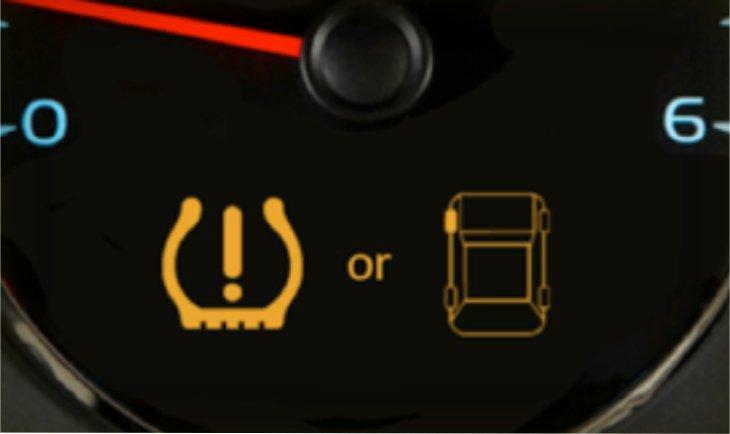 If your tires are under- or over-inflated, the TPMS activates a warning light on your dashboard (a picture of the two possible lights is shown to the left). * If the light is steady, it means you need to check your tire pressure. * If the light is flashing, it means you need to have your TPMS checked. Federal regulations require TPMS to warn drivers when tires are 25% under inflated. For many vehicles this warning may be too late to prevent damage caused by under inflation. TPMS units are NOT a replacement for monthly tire pressure checks with a gauge. 1.Find a safe place to pull out of traffic so you can stop to check your tires. NOTE: If you are driving at higher speeds (highway), immediately take firm hold of the steering wheel with both hands because, in the event that you are experiencing a blowout (rapid deflation), you’ll need to be prepared to handle your vehicle. Then, slowly decelerate and move out of traffic. 2.Once you have checked to ensure you are not having a blowout, use a tire gauge to check the pressure of each tire. (A tire gauge should be a standard component within your set of emergency items in your vehicle.) The recommended pressure level can be found on the tire placard, a label located just inside the driver’s side door. Consult our Proper Tire Pressure page for more information about how to find the correct pressure for your vehicle. 3.If you are not comfortable checking the tire pressure on your own, proceed with caution to have your tire pressure checked by a professional tire technician. Vermont Tire is always happy to check your tire pressure for free. 4.Fill your tires to the proper placard tire pressure, either with help or by using a tire air supply at a nearby filling station. 6.The TPMS light should turn off within several minutes after reinflating the tires to their recommended pressure. If you have to change a tire, don’t be alarmed when you see the TPMS light illuminate or flash after you install the spare. It’s just the system’s way of letting you know it can’t find a TPMS unit in the spare tire.